My Beauty Diary: FOTD: BF Birthday! Skin 79 BB Triple Function (Orange) -- this is my HG BB Cream! Etude House Oh My Eyeline (black) -- also my HG Eyeliner! 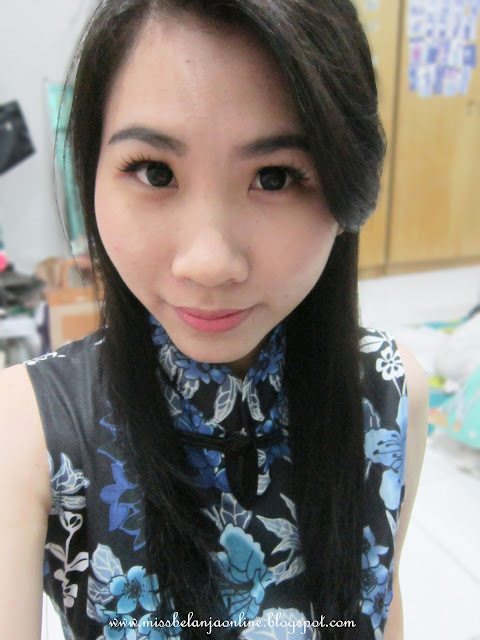 I really like the false lashes because it really help to enhance my small eyes. This time I choose to use bold false lashes (usually I goes for natural) and turns out really good. I like my eyes so much. The quality is low, it's made from plastic and very stiff. The price is cheap so I think I shouldn't complain. The combination of bold lashes and soft lens make my eyes look more bigger, so I skip the eyeshadow. I only draw a thin line for my upper eyes and also draw my eyebrows. I use skin79 BB cream as base, this is my favourite BB Cream ever. It has heavy coverage (for large pores and acne scar) but it also very light. The color match my fair skin tone perfectly. Plus it has high SPF (suitable to use for day!). I also apply concealer to cover my dark circle (lately my dark circle become more and more worse hikz..blame the K-Drama!) and also my deep acne scar. And then finish everything with Rimmel stay matte powder, this powder really helps to control excess oil. Lastly, apply pink blush on my cheeks. I use lip balm as a base and then apply lipstick. I choose coral color (my favourite color for lipstick) because it gives the "cute" feel and also slightly "Elegant", not too much like red lipstick but also not to pale like pink lipstick. It just perfect! 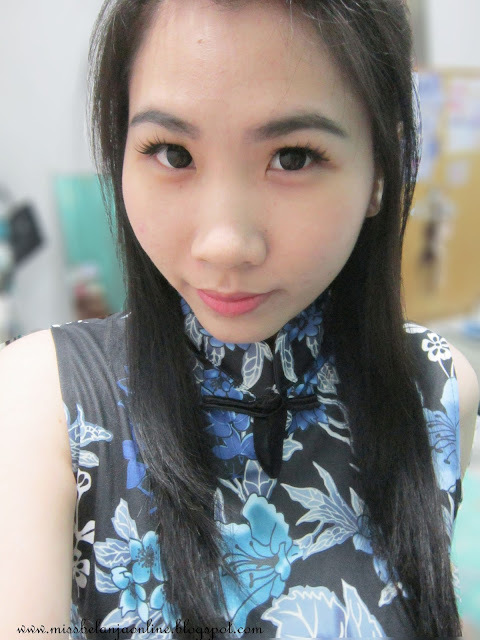 I guess I will also use this kind of look to celebrate CNY, I've already in the mood to celebrate CNY even though it still next month hahahaha, I even use cheong sam dress in the picture, bought it online and super satisfied with the quality. Somehow it makes me look more slimmer hehehe..
What do you think about my simple FOTD? Love those lashes, so pretty!